Queens of the Stone Age‘s recent album, …Like Clockwork, debuted at the top of the Billboard charts (directly against my prediction and review), selling 91,000 copies in its first week. 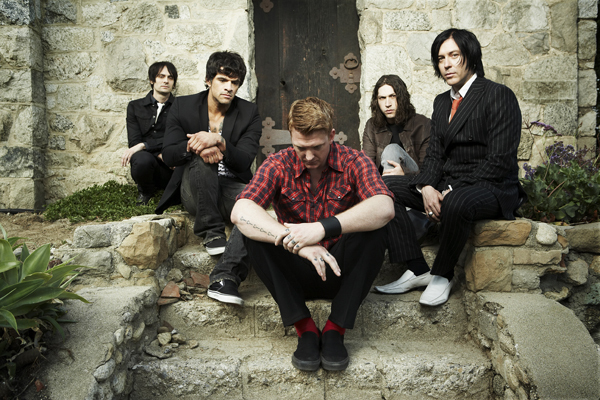 Shortly after, frontman Josh Homme gave an interview with Billboard pertaining to the follow up to …Like Clockwork and the full recording sessions. Apparently, the band recorded 19 songs for the album, but only 10 made the Matador release’s final cut. When pressed on what would happen to the nine songs that did not make the record, he said, “I wish I could tell you that, man.” He then went on to say this was the tightest the band had ever been as friends, and that the album was meant to be played live. You can check out their tour dates here. Maybe if we’re lucky, a follow up album (or a full release of the sessions) will come out soon. It’s possible the dormant time has got the band itching to do more. Make a prediction for yourself in the comments.